Last May Michele and I were staying on Lake Garda. 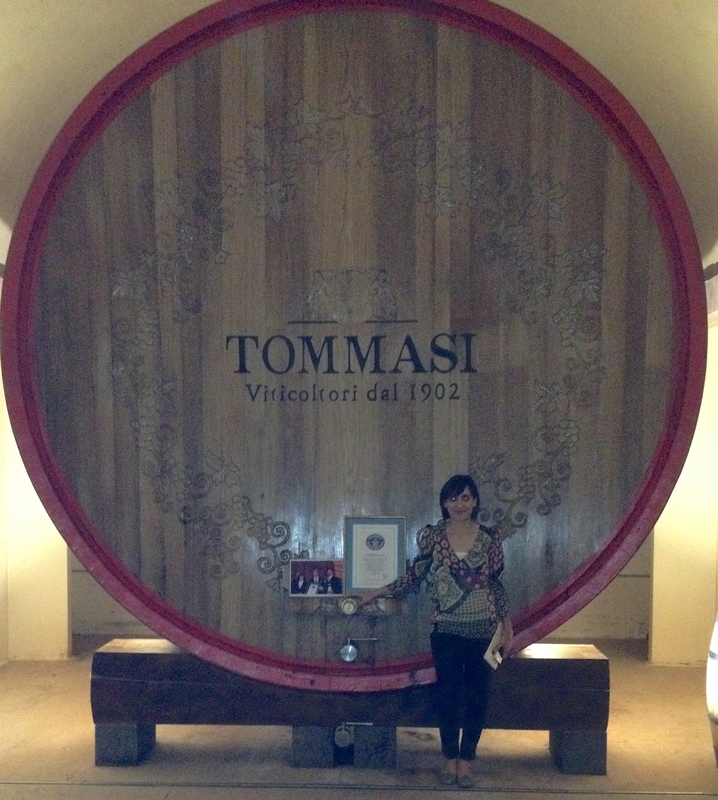 One day, we went to visit the Tommasi Winery in Valpolicella which is only a half hour away. 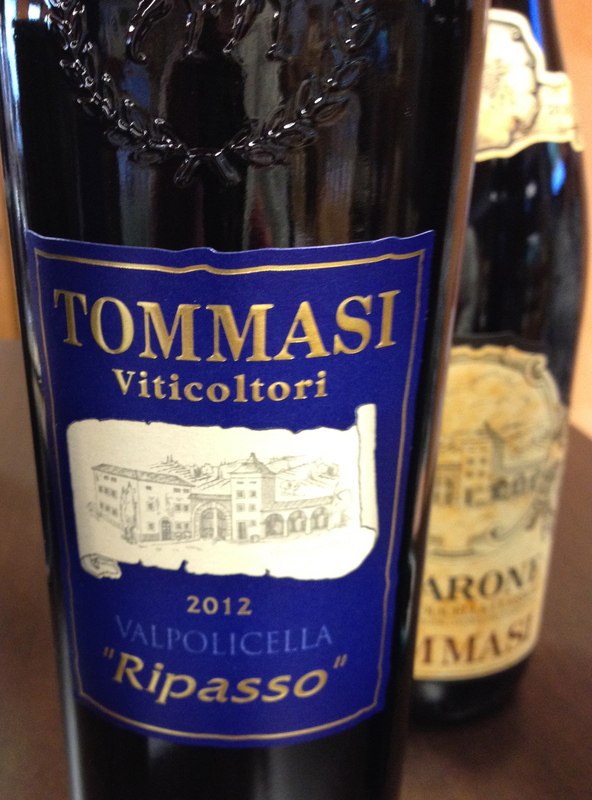 Tommasi is a very traditional producer of Valpolicella and Amarone and I like their style of wine. Annalisa Armani, the PR person and marketing director, greeted us and took us on a very nice tour followed by a tasting. 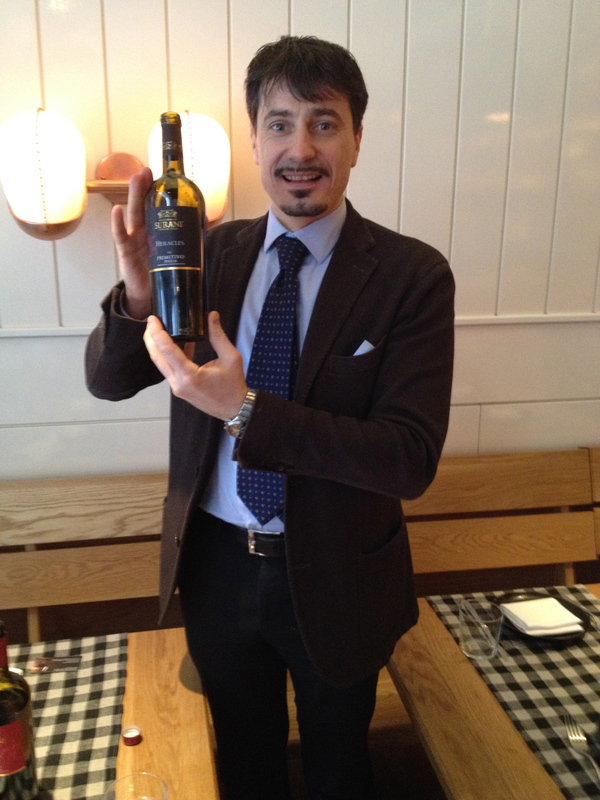 She mentioned that the Tommasi family has other estates in Italy and that Pierangelo Tommasi was coming to NYC to speak about the Masseria Surani Estate in Manduria, Puglia. Valpolicella Classica, DOC areas of Verona; Prosecco in Treviso; the Maremma Toscana; Manduria Puglia; and Oltrepò Pavese in Lombardy. Each Estate has its own history and identity. He said that they acquired about 80 hectares in Manduria in the Salento area, the best zone for the cultivation of the Primitivo grape. There are 55 hectares of vineyards now: 30 hectares of Primitivo, 5 hectares of Negroamaro, 10 hectares of Fiano, 5 hectares of Cabernet Sauvignon and 5 hectares of Chardonnay. They are in the process of planting another 25 hectares of vines. The soil is made up of limestone and clay. The training system is guyot and there are 5,500 vines/hectare. The vines are surrounded by nearly 25 miles of stonewalls, built from rocks pulled up when the vineyards were planted 10 years ago. In the center of the vineyards lies the Surani manor and a complex of buildings originally used for agricultural purposes, all of which have been newly refurbished with vinification facilities (including many Slavonian oak barrels that were brought down from the Veneto). 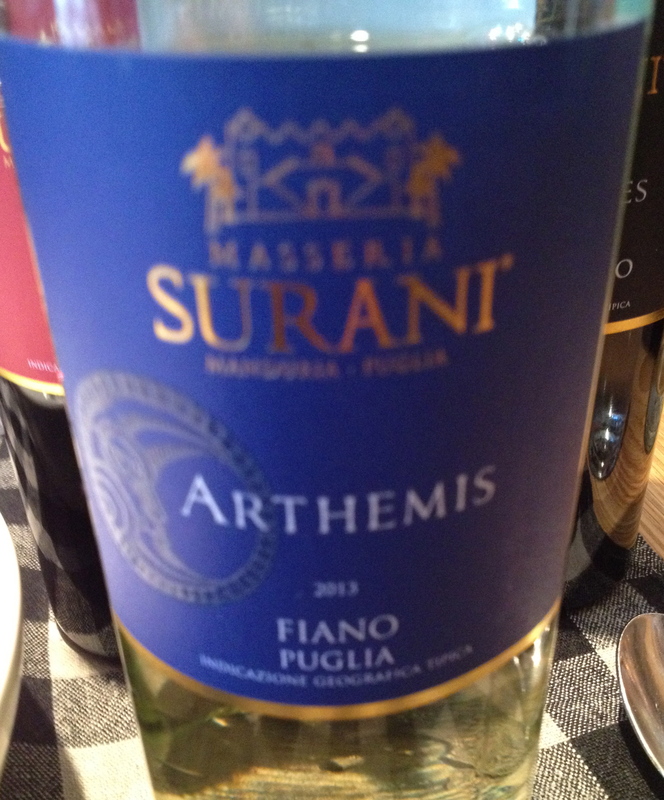 The wines are named after Greek gods because this part of Puglia was founded and colonized by the ancient Greeks about 700 B. C.
Arthemis (Goddess of the Moon) 2013 made from 90% Fiano and 10% Chardonnay. Pierangelo said that in the future it will be made from 100% Fiano. Fermentation takes place in temperature controlled stainless steel tanks and the wine matures is stainless steel tanks for about 4 months before release. It has cirtius aromas and flavors and hints of grass and herbs. 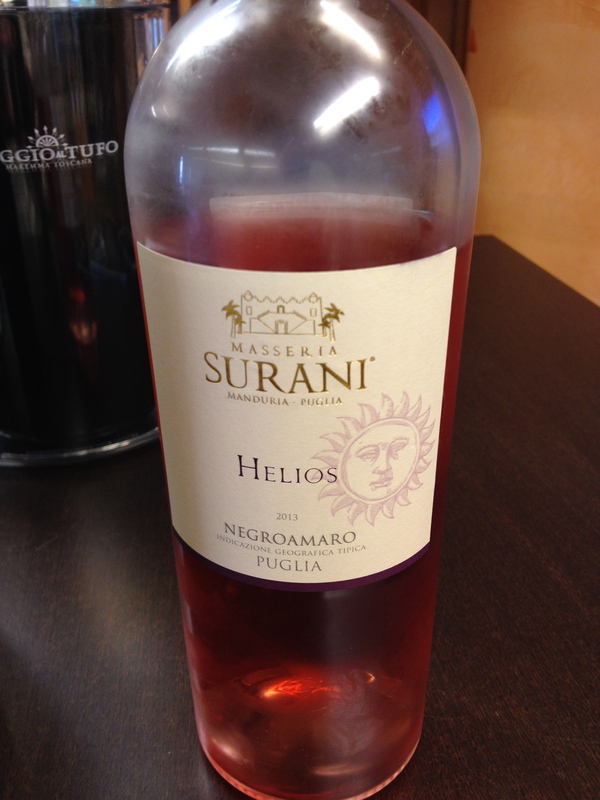 Helios (God of the Sun) 2013 Rose made from 100% Negroamaro. One day skin maceration and about 10 days of fermentation in temperature controlled stainless steel tanks. I tasted this wine at the winery in May. The wine has nice fruit with hints os strawberry. 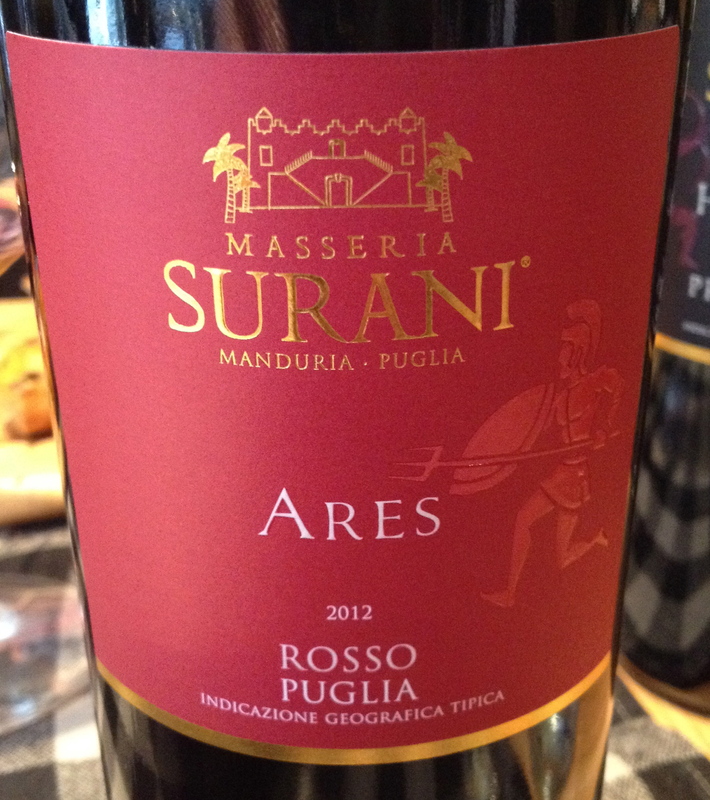 Ares (God Of War) Rosso 2012 made from 50% Primitivo, 30% Negroamaro and 20% Cabernet Sauvignon. The wine is fermented in temperature controlled stainless steel tanks and matures in oak casks for 6 months. Nice black berry flavors and sromas with a touch of spice. Pierangelo also said that the family owns the Villa Quaranta Park Hotel not far from Verona, the Albergo Mazzanti and the Caffe Dante in Verona, and an agriturismo at the Poggio Al Tufo in Tuscany. All are run by family members. Pierangelo was right when he said La Forza della Famiglia! Michele and I recently returned to Lake Garda, one of our favorite places in Northern Italy. We stayed in Bardolino, a picturesque town right on the lake. There are plenty of good hotels, restaurants, and, if you like that sort of thing, theme parks. The area is very lush, with olive trees, palm trees and flowers everywhere. Many wineries are within a short driving distance from the lake and I have visited several in the past. 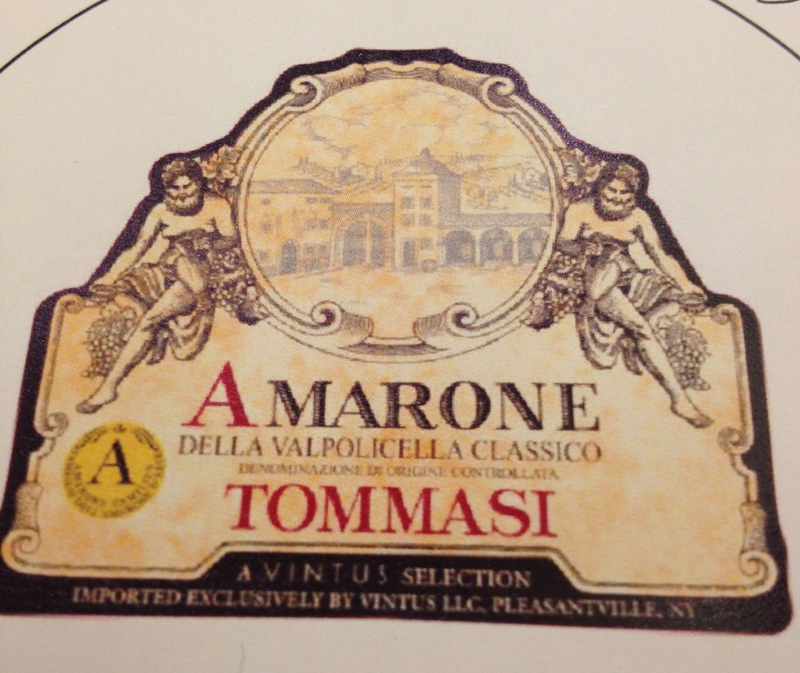 This time, I was determined to visit the Tommasi winery in Valpolicella, which is only a half hour away. This is a very traditional producer of Valpolicella and Amarone and I like their style of wine. I made an appointment with Annalisa Armani, the PR person and marketing director. She greeted us when we arrived at the winery. Annalisa is very charming, interesting and informative not only about the winery but also about the wines. She began by telling us about the origins of Tommasi. The cellar houses many different sized barrels. Annalisa led us down a double row of large barrels standing like an honor guard leading to “Magnifica” the world’s largest oak barrel that contains the equivalent of 44,000 bottles of wine. It was installed in 2010 and is in the Guinness Book of Records. Annalisa also showed us three historical barrels from 1902 when the company was founded, that were made by Giacomo Battista Tommasi. The winery is situated in Pedemonte in the heart of the Valpolicella Classical Zone about a half hour from Lake Garda. There are 195 hectares of vines on the estate. 90 hectares of vines produce Bardolino, Custoza, Soave and Lugana and 105 hectares produce Amarone Classico, Ripasso Valpolicella, Valpolicella Classico Superiore and Recioto della Valpolicella. Annalisa explained that the historical classical area of Valpolicella is northeast of Verona and looks like an open hand with four fingers pointing upward. These are the four separate valleys of the region where the warm breezes from Lake Garda meet the colder winds from the Lessini mountains, creating a perfect climate for the cultivation of vines, olives and cherries. Annalisa led us through a tasting of the wines. This is not the order in which we tasted the wines but I listed them this way to explain the process of producing them more easily. Amarone Classico 2010. The first vintage to be DOCG is made from 50% Corvina Veronese, 15% Corvinone 30% Rondinella and 5% Oseleta. Molinara grapes are no longer allowed for Amarone but can be used for Valpolicella. The vines are on hillside terraces; the training system is high-density guyot. The Groletta and Conca d’Oro vineyards are located in the area of classic historical Valpolicella. The grapes are hand harvested. Annalisa showed us the place where the grapes are dried for the Amarone. It is a very large room, called a fruttaio, with large windows on the sides that are left open when the grapes are drying. Annalisa made a point of saying that the drying of the grapes in the fall and winter is as important as the flowering and the maturing of the grapes during the spring and summer. The colder the weather the better it is for drying the grapes because they become more concentrated and raisin-like. Because the temperature is higher now than it was 10 years ago, they have installed fans and a system for removing the humidity. They do not want Botrytis (noble rot) to form on the grapes. There are some producers that now dry their grapes in warehouses that are temperature controlled with air-conditioning. The grapes are placed in plastic boxes, which hold 5/6 kg and put on wooden racks to dry where cooling breezes in the autumn and winter until January dry them. This drying period is known as the appassimento. Annalisa said that this is an active period where the grapes lose about 50% of their weight and there is a concentration of the natural sugar. This process gives the wine the key aromas and fruit flavors and raises the alcohol level. Amarone must be at least 14% alcohol. She also said that it takes grapes from 3 of the open plastic boxes to make one bottle of Amarone. This wine was aged for 6 months in Magnifica and 2-1/2 years in large Slovenian oak barrels of 35HL, and one year in bottle before release. Annalisa said that 2010 was a difficult vintage but the grapes were exceptional. A slow appassimento lasted until January 10. The grapes lost 40% of their weight and the final result was excellent. This wine will age. Many producers make Amarone that has too much residual sugar and tastes more like the traditional dessert wine, but this is an Amarone that goes very well with food. It is a complex wine, full bodied, with aromas and flavors of ripe cherries, raisins, plums and a hint of balsamic. 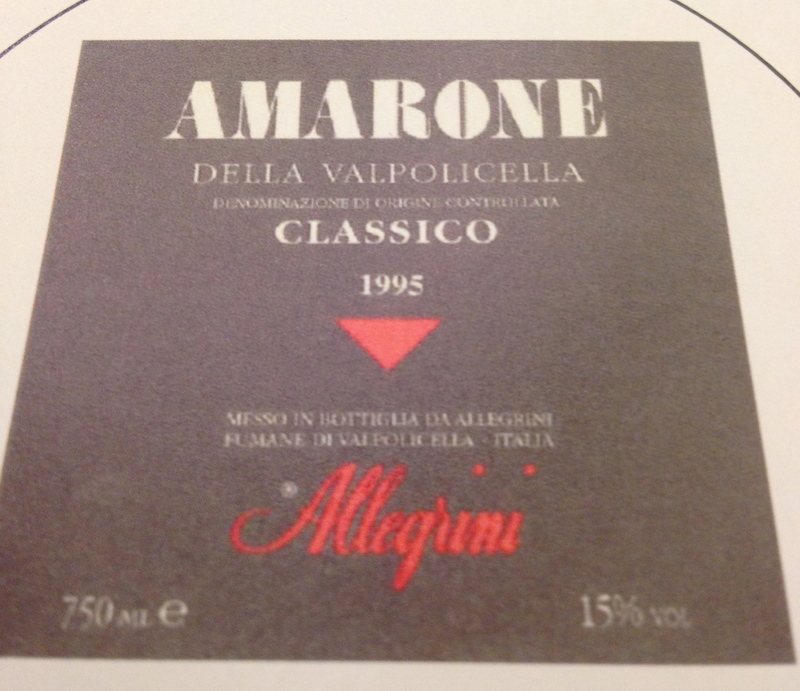 Up until the 1950’s there was no Amarone being produced. The big wine of the area was Recioto della Valpolicella, which is a red dessert wine of 15% or more alcohol. Legend has that Amarone (meaning bitter) was discovered by accident but that is not the case. The producers needed an important dry wine so they decided to change the process a little and produce an Amarone. Recioto Della Valpolicella Classico”Fiorato” DOCG 2010 from grapes from the town of San Pietro in Cariano in Valpolicella Classico. Made from 65% Corvina, 30% Rondinella, and 5% Molinara. This is the traditional dessert wine produced in this region before the creation of Amarone. It is obtained from the fermentation of dried grapes. The grapes are dried for 5 months and then aged in 5hl barrels. This is a concentrated wine rich and fruity with hints of cherries, figs and plums and, for a dessert wine it is very elegant. 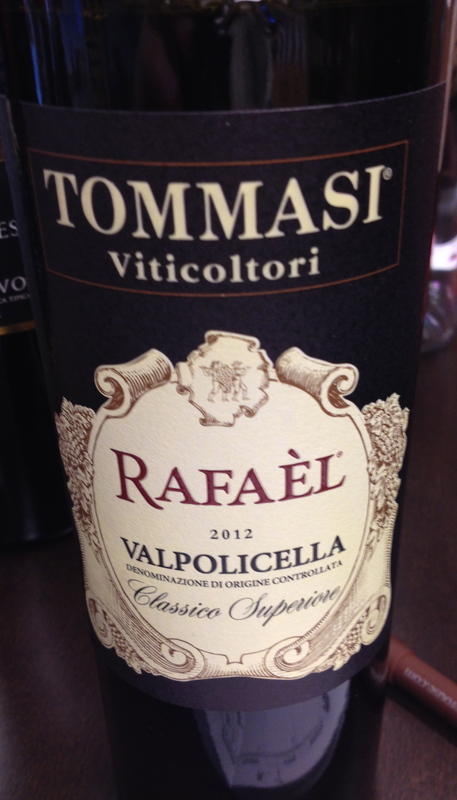 Valpolicella Classico Superiore “Ripasso 2012”made from 70% Corvina Veronese, 25% Rondinella, and 5% Corvinone. The harvest takes place in September. Fermentation is in stainless steel tanks for about 9 days. After the juice for Amarone has been removed from the tanks, the Valpolicella for the Ripasso undergoes a second fermentation on the ‘live” skins of the grapes remaining in the tank for 12 to 13 days with daily pumping over. The wine is then aged for 15 months in Slovenian oak casks of 65 hl and in bottle for 6 months before release. This is a wine with aromas and flavors of cherries, plums and raisins with a touch of spice and black pepper. Recently a new law was passed that limits the production of Ripasso. For every bottle of Amarone, a producer can only make two bottles of Ripasso. 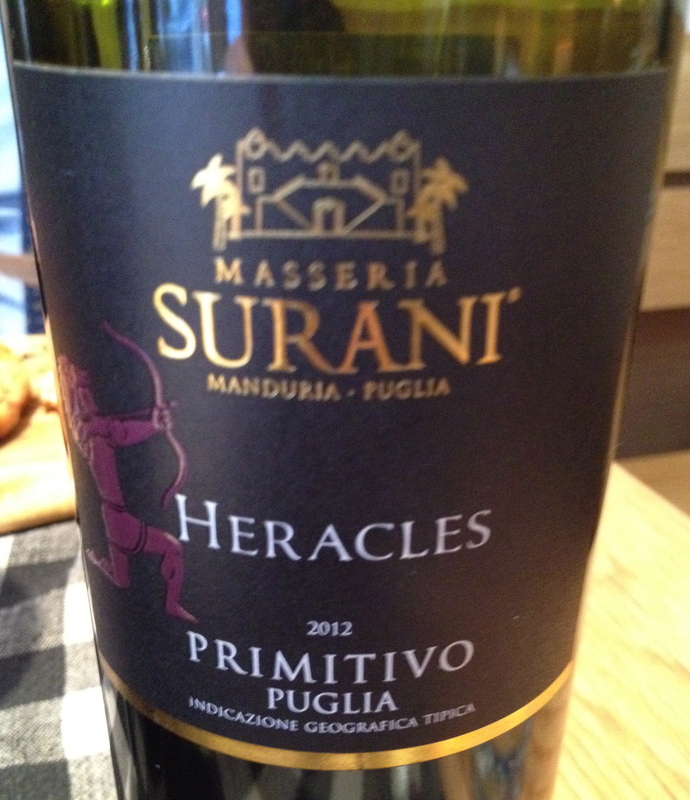 The producers still have the grapes but can no longer make all the Ripasso that they want. They have now come up with a new wine called appassimento, which will be approved later in the year. Amarone della Valpolicella Ca’ Florian Riserva 2007 made from 75% Corvina, 12% Corvinone and 20% Rondinella. A single vineyard wine from the hills of San Pietro in Cariano at 250 meters with a southwest exposure. The training system is pergola Veronese and the average age of the vines is 30 years. Harvest is in the beginning October. This is a complex, full bodied and elegant wine with black fruit aromas and flavors, hint of plum, and blackberries with a touch of balsamic and spice. This wine will age. 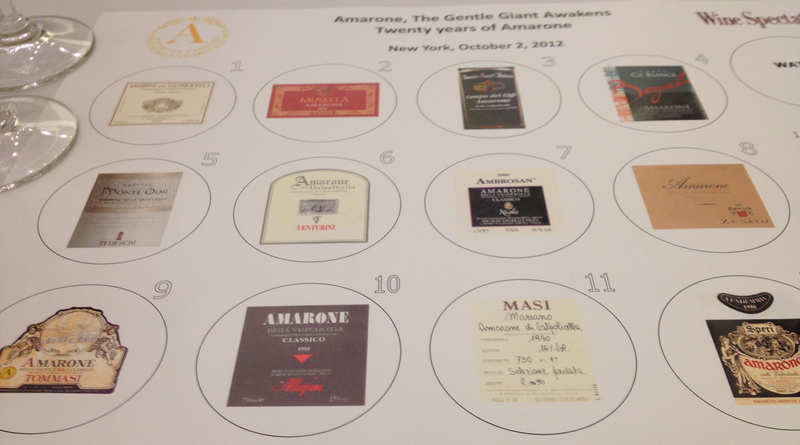 The families’ tasting this year was called “Amarone: the Gentle Giant Awakens.” The spokesperson was Sandro Boscaini, owner of the Masi Winery, who I know and respect both as a producer and for his knowledge of Amarone. 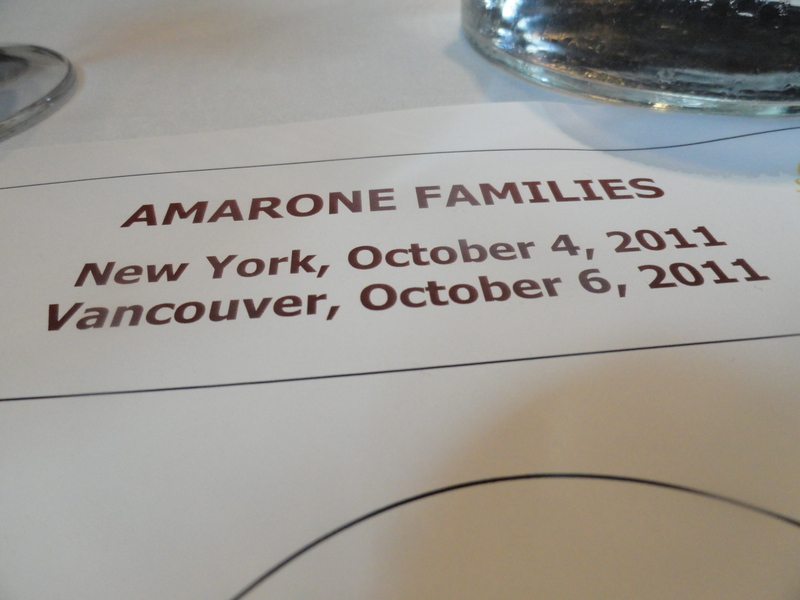 Sandro made a few opening remarks about the “Families” and Amarone in general and went on to discuss how Amarone is produced. He said that the weather during the drying of the grapes (appassimento) is just as important as the weather during the vintage. The colder the weather, the better it is for drying the grapes. The grapes used for Amarone are thick skinned and can take a long drying period. This longer winter drying makes the resulting wine more concentrated. 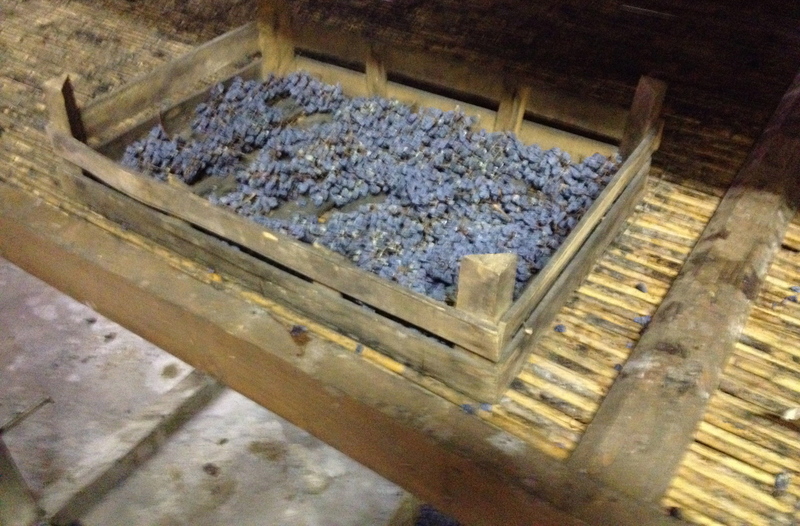 Only after the drying period takes place do they know if the juice is good enough to be made into Amarone. Amarone is only made in the best vintages. Most of the producers try to avoid the formation of botrytis on the skins of the grapes. 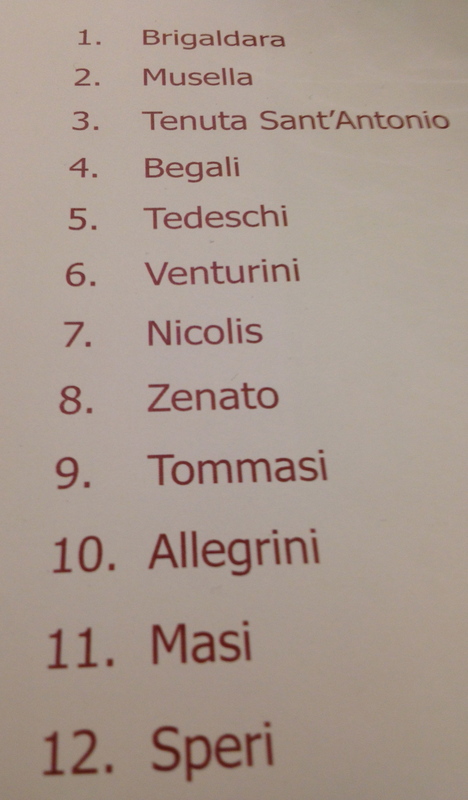 Of the 12 producers, only Sandro said that 2% of his grapes had Botrytis. He did say however that he felt a touch of Botrytis might be present in the grapes, especially the Corvina, which may not be detected. This was a very interesting seminar because it covered vintages between 2007 and 1988. 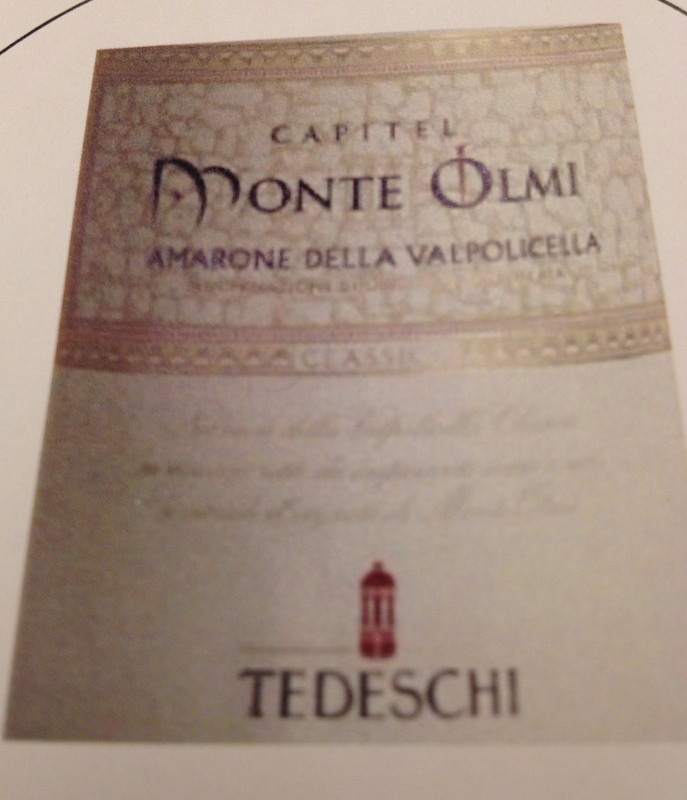 Amarone Della Valpolicella Classico “Vignetto Monte Sant’Urbano D.O.C. 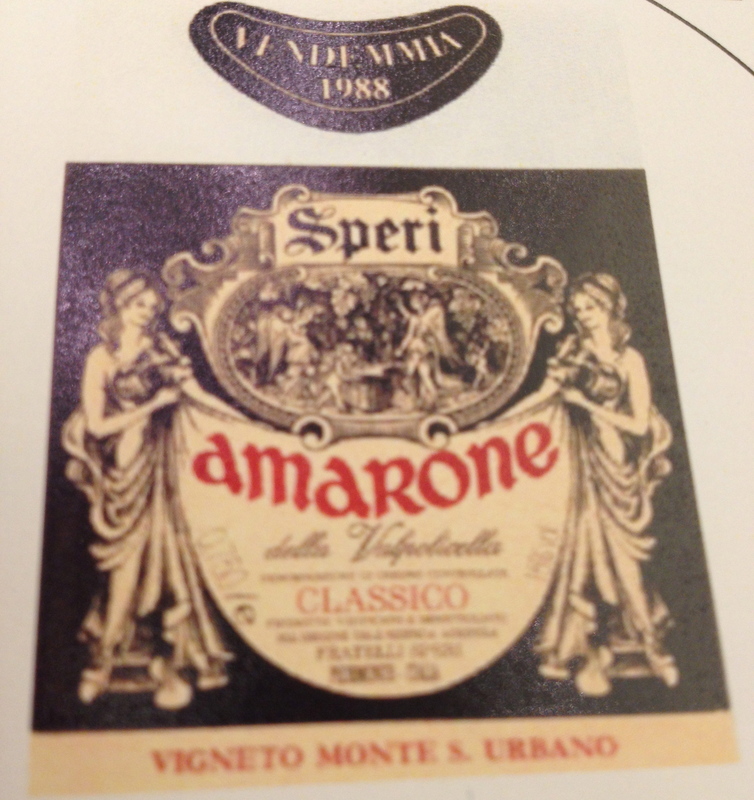 1988 Speri made from 65% Corvina Veronese, 25% Rondinella, 5% Corvinone, 5% Molinara and other indigenous varities. The vines are 19 years old and the vineyards are at 280-350 meters. Manual selection of the best bunches the first week of October. The grapes were dried for 120 days on racks in the fruit drying rooms of the Monte Sant’Urbano estate where there are ideal conditions of temperature, humidity and ventilation. The grapes lost 40% of their initial weight and pressing took place at the end of January 1989. Fermentation took place in large oak barrels. There was no signs of Botrytis. The wine was aged in 50hl Slavonia oak barrels for 4 years, 10% new, and refined in the bottle. Weather conditions were very good and1988 is considered an excellent vintage. It is a full, complex wine that still has aromas of ripe fruit with hints of cherries, dries figs and a touch of hazelnut. The retail price is $300 and there are about 60 bottles left. Amarone Della Valpolicella Classico “Mazzano” D.O.C. 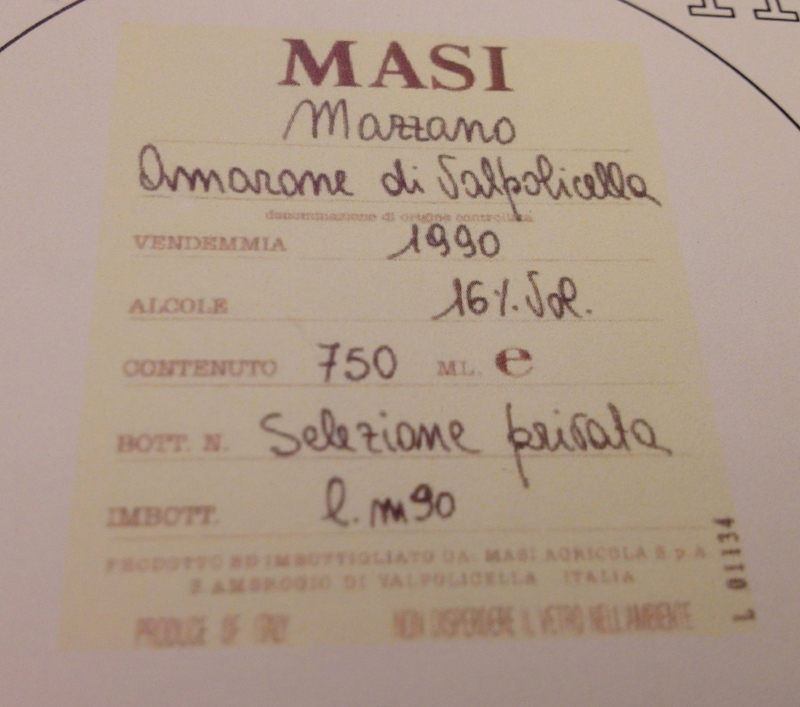 1990 Masi made from 75% Corvina, 20% Rondinella and 5% Molinara. About 2% of the Corvina was affected by Botrytis. Average age of the vines is 24 years and the vineyards are at 305/415 meters. In the beginning of October the best clusters from the hillside vineyards are selected and laid in wooden boxes or on bamboo racks in large rooms in an old farmhouse in the hills until the middle of January. There are large openings and windows to allow the free flow of air that is vital to the drying process. Sandro Boscaini said that the grapes lose 35/40% of their weight and have enhanced flavor as well as a high concentration of sugar. The grapes were affected by botrytis. He said it was an outstanding vintage for Amarone. This is an elegant wine, balanced with dry fruit aromas of prunes and figs and a touch of leather. $300 Amarone Della Valpolicella Classico D.O.C. 1995 Allegrini made from 75% Corvina Veronese, 20% Rondinella and 5% Molinara. The vines are 24 years old and at 250 meters. Hand harvested the second week of October. The ground was dry and there was no rain, so there was no risk of mold of any kind. 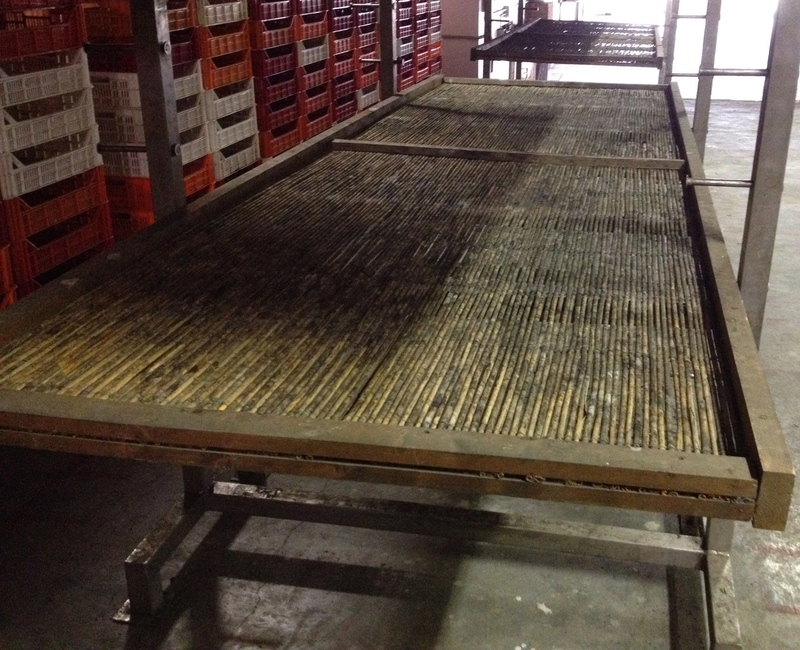 The grapes were dried naturally on bamboo/straw-lined racks in the drying lofts for 3 months losing about 45% of their original weight. Pressing took place on January 10. The wine was fermented and aged in Vosges and Cher oak casks of different sizes for 36 months. Aging in the bottle for 18 months followed blending. This is a highly structured complex and well-balanced wine that will last for a number of years. Not for sale by the winery. Amarone Della Valpolicella Classico D.O.C. 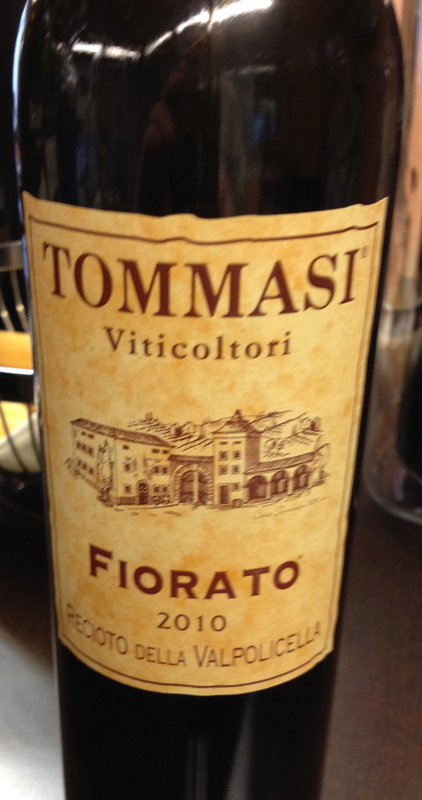 1997 Tommasi made from 50% Corvina, 15% Corvinone, 30% Rondinella and 5% Molinara. The vines are 40 years old and are at 220-260 meters. Selection of the grapes to be dried took place on September 18/October 7. After 5 months of drying with total control of the humidity, pressing took place on February 7. Fermentation was in stainless steel tanks for 30 days. 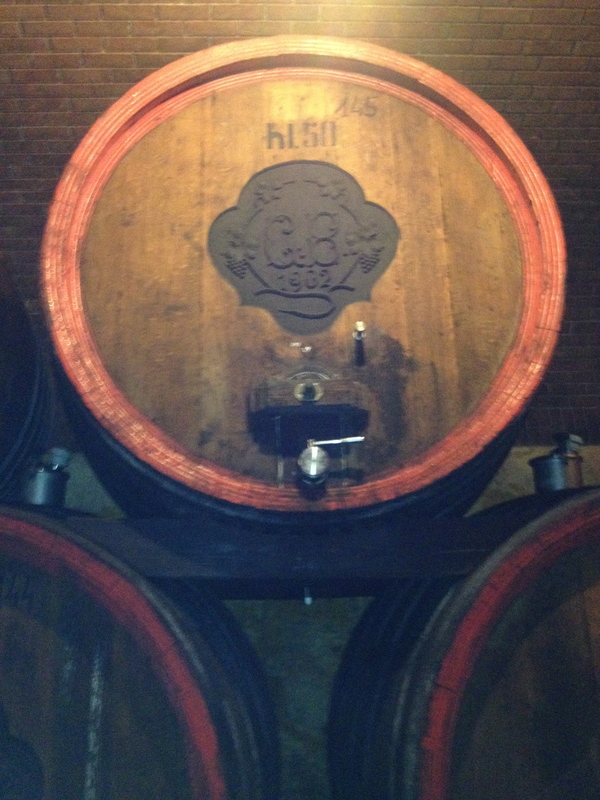 Aging was in Slavonian oak barrels of 35hl for 36 months. This is a concentrated wine, elegant and smooth, with long aging potential. $150 if it was available. Amarone della Valpolicella Classico Riserva “Sergio Zenato” Zenato 1998 D.O.C. made from 80% Corvina, 10% Rondinella, 5% Sangivese and 5% Molinara. The age of the vines is 20 years and the vineyards are at 300 meters. The grapes are picked by hand and left to dry in the fruttaio (drying room) for 3 to 4 months in small trays with only one layer of grapes, well spaced to allow for good air circulation. The grapes are pressed in December/January. Fermentation and skin contact is for 15/20 days and then the wine is aged in big Slavonian oak barrels for 48 months. The wine is aged in bottle for one year before release. The wine has aromas of dried ripe fruit with hints of liquorice and spice. The wine is drinking very well now but could last for a number of years.